Now Available in Print or Ebook! in the Old Testament, Passover, and the New Testament's crucifixion and resurrection of Jesus. 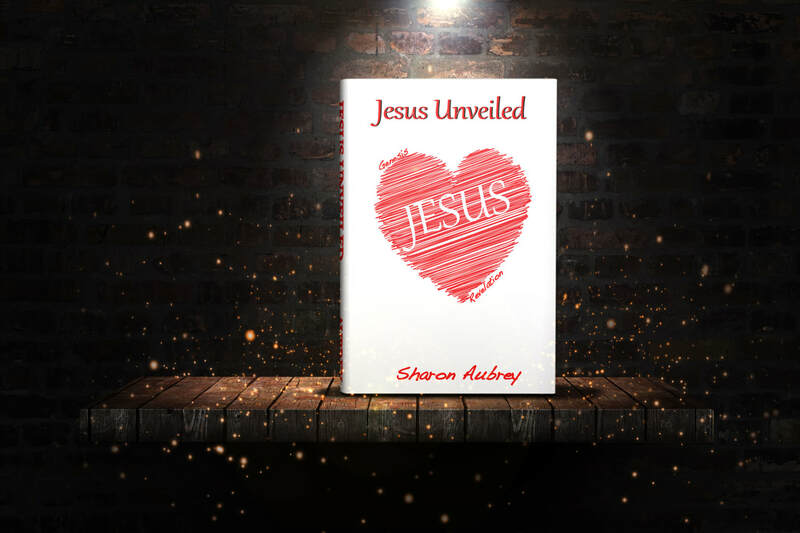 This FREE guide provides 17 different questions for each chapter of Sharon Aubrey's book, Jesus Unveiled, for a grand total of 153 questions. Excellent resource for home bible study, your next book club meeting, or church bible study group. Sharon's debut book Jesus Unveiled was published in 2016. Her second book, Redemption's Secret: Understanding the Hidden Mystery of Nisan 17 is coming Spring 2017. Sharon writes about herself: I was born in Fort Sam Houston, Texas and grew up as an Army brat all over the United States. I'm a middle child with many of the middle child tendencies: I like to fix things, love people getting along, study hard, and am free to be me. Christianity is not a religion to me; instead it's a passionate relationship with God who loved me before I was born, which is a good thing because if He didn't love me before I started making mistakes, He sure wouldn't like me much now. God is AMAZING! I hope that through my writings others can discover God's love for them and grow in understanding and faith in God's written word and in the knowledge of our savior Jesus Christ. I've been homeschooling for 14 years partnering with the Alaskan public school system, partly to save the sanity of public school teachers but mostly to encourage my kids to be all they can be outside of the "normal" box society wants to place everyone. I'm a strong supporter of education models that help people achieve their individual goals and helped to modify our current public homeschooling program which earned me two accolades in 2011, including the Champion for Children Award. I'm married to an incredible mountain man named Michael who moved to Alaska when he was an infant. His father worked the coal mines of Eska and Jonesville. Millie, his mother, held a variety of tasks from managing hotels, jewelry stores, and running a logging camp all while taking care of five children in rural Alaska and keeping her sanity. It is a blessing to be part of one of Alaska's pioneering families. Together, Michael and I have traveled many journeys. From mountain top high adventures to low valleys of pain and suffering, we've walked hand in hand. Life is an adventure! Trust the compass of God's word to lead you beyond where you ever imagined you'd go.